This line ran through farmland and terminated at the port of Silloth. This line ran from Drumburgh to Silloth. 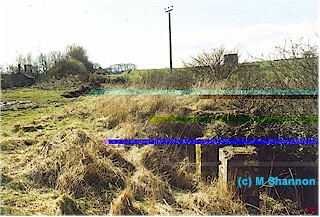 Here the line joined the Carlisle and Port Carlisle Railway and Dock Company at an east facing junction. 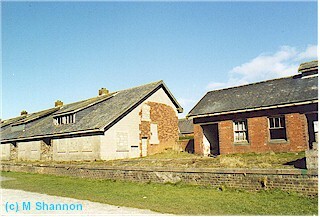 Station site and station house viewed from the west. From Mike Shannon: "The Station house is in residential use. Mature trees and hedges make photography difficult without trespass. House in very good condition." 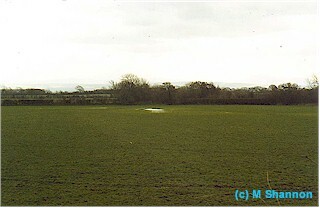 The Solway Junction Railway met the line at a west facing junction here. 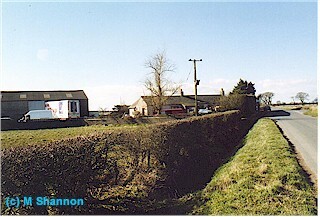 The junction was to the west of Kirkbride station. From Mike Shannon: "Now completely eradicated (as far as I could see). 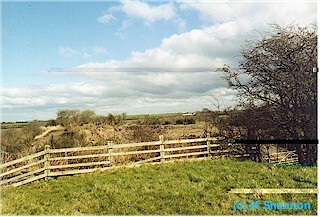 The land has been ploughed, only one hedgerow appears to trace the fence on the NB line on the south side of the line." View looking east towards the former junction. 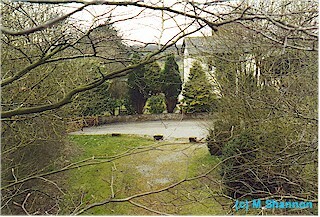 Cottage in the 'V' of the former junction. 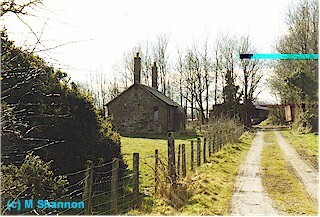 This junction station served the line to Silloth and the Solway Junction Railway line to Brayton. The station was renamed Abbey Junction in 1870. From Mike Shannon: "Station completely demolished and parts of the embankment removed. There is a small cottage in the vee of the junction which though fairly complete is derelict." From Mike Shannon: "Completely demolished. Trackbed built on in places, just visible in others." 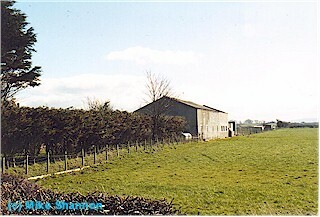 Looking north at the former Black Dyke station. Shed on the former trackbed. 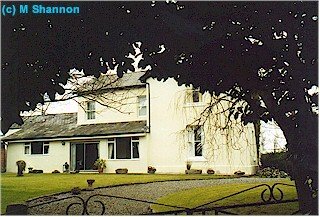 From Mike Shannon: "The station house is occupied as a domestic residence, a shed has been constructed on the Carlisle side of the house, in the yard and on the trackbed. It is used for some form of motor engineering." There was a short lived station nearby here called "Causewayend". Looking west over the former sidings to the harbour. 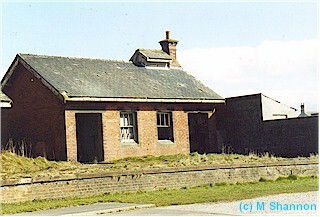 Former station platform at Silloth. Small building at the east end of the platform. This station had extensive sidings, many in connection with the harbour basin. Much of the siding area is now a sports ground. 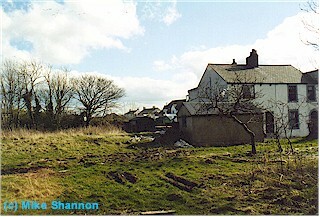 The station still stands, although the buildings were modified for housing and are now derelict. Some of the long single platform remains. The North British Railway operated vessels Waverley (I) and Waverley (II) from here capturing trade from the Isle of Man and at one time operating to Liverpool. The harbour is still in use. 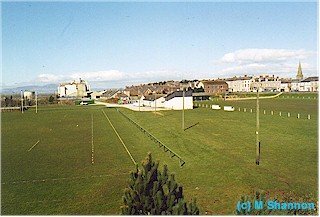 The North British also tried to make Silloth a holiday destination by the sea with some success leading to the enlargement of the town. To the east of the overbridge, at the east end of the station, was the platform used by the signalman to exchange single section tokens. Many thanks to Mike Shannon whose photographs are used on this webpage. Mike also provided a description of the present state of each location.